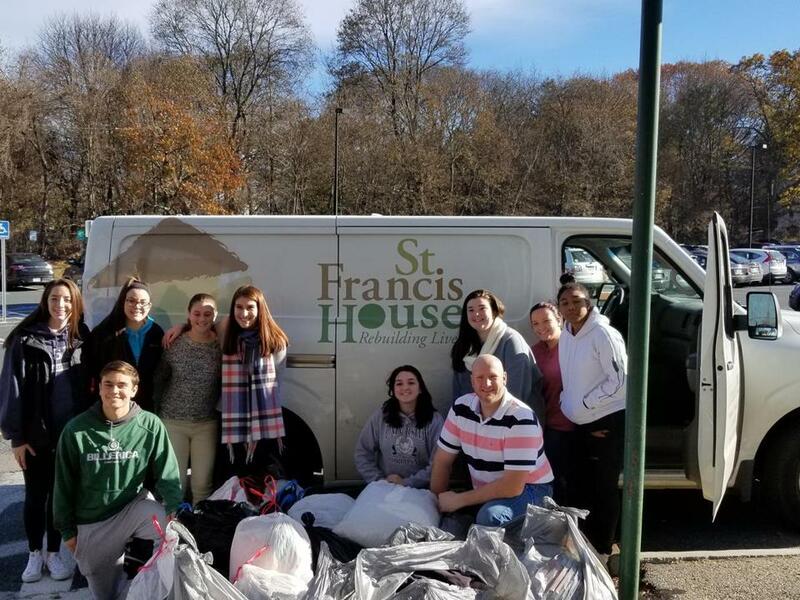 Billerica High Key Club members with clothing donations they gathered for St. Francis House. History came full circle recently as construction began at the former Boston Young Men’s Christian Union on Boylston Street to convert it into 46 units of permanent affordable housing for men and women experiencing homelessness, and for people with very modest incomes. This new use continues the legacy of the BYMCU’s 150-year old mission of service to others. When it opened its doors in 1852, the BYMCU’s goal was to welcome young men who, because of their backgrounds or religion, had been unwelcome in other community clubs. When the doors re-open next year, the building will provide homes for those in need who have not always been welcome in their communities. It will provide jobs for people experiencing homelessness, through a new ground-floor business venture. And it will become home to the administrative offices of St. Francis House, allowing an increase in needed program space across the street. But this almost didn’t happen, and replicating its success will be increasingly difficult because of changes in the federal tax bill passed by Congress and signed into law by President Trump. We closed on our financing on the very last business day of December. Had we been one day later, with the new tax law in effect, we might be telling a very different story — about a great project that almost happened. St. Francis House and the Planning Office for Urban Affairs of the Archdiocese began working four years ago to redevelop the building for those who cannot afford the high rents in this growing downtown neighborhood. We knew it was an ambitious goal, but we also knew the needs of so many men and women experiencing homelessness or threatened by displacement. 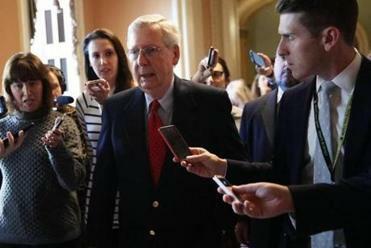 If the GOP’s tax bill becomes law, it will lead to dramatic, and perhaps permanent, American decline. This effort succeeded because the church, the government, and the private sector supported the project and worked for the common good. Governor Charlie Baker, Mayor Marty Walsh, Secretary William Galvin, the Massachsuetts Historical Commission, and our private banking partners were all key to this success. Too often, elected officials work at odds; here in Massachusetts — and on Boylston Street – they linked arms in mutual support along with our private sector partners. Equally important, the Chinatown community and our neighbors in luxury developments supported the project. Financing a project like this is complex. Multiple sources of public and private funding had to be secured: Massachusetts housing bond bill funds; City of Boston housing resources; a loan and significant equity from Bank of America; support from the Federal Home Loan Bank of Boston and Eastern Bank. But the new federal tax law will severely challenge similar developments in the future. The law reduces the corporate income tax rate from 35 percent to 21 percent, so corporations have less incentive to purchase housing and historic tax credits and passive losses, and it also limited the value of the historic credits. The equity raised through the sale of those tax benefits were a critical part of our financing — as they are for many affordable developments. These changes have already translated into lower prices paid by investors and, therefore, less private sector equity. Additionally, we worry that cuts will be made to federal programs that benefit the poor, to help offset the $1.5 trillion in lost revenue from the new tax law. By coming together with our partners to create this critically needed affordable housing, we honor the building’s rich history with the promise of a bright future for many in need. Given the federal government’s retrenchment, we must now work to bring this opportunity to others by countering the impact of the tax law changes. Continuing public support through the housing bond bill currently before the Legislature will help. At the same time, we are hopeful that corporations, which benefit most from the new tax law, will resist the temptation to reduce their financial investment, by holding prices firm and focusing, rather, on the underlying social investment and good that they continue to accomplish. Lisa Alberghini is president of the Planning Office for Urban Affairs Inc., Archdiocese of Boston. Karen LaFrazia is president and CEO of St. Francis House.